"Brisbane Apartments, a dual tower icon, anchoring the corner of Water and Brunswick Streets in Fortitude Valley, has arrived. 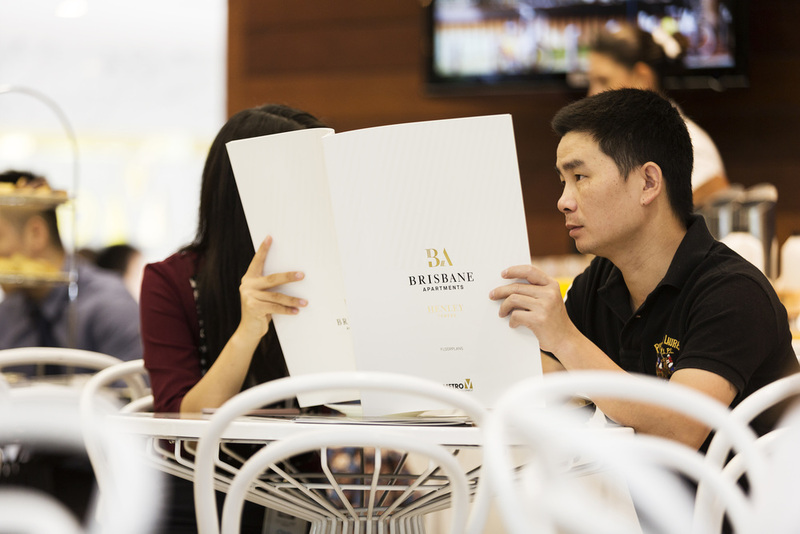 This landmark project definitively reimagines city fringe living, offering a range of luxurious, modern residences and an array of extravagant, multi-million dollar facilities." Brisbane Apartments (presented by Metro Development) has been my largest project to date in terms of vastness. I designed and oversaw production for the microsite and all digital collateral, all print collateral including the main brochure and real estate information guide, environmental and display signage and the virtual reality experience. The microsite was designed as a one page POS product. 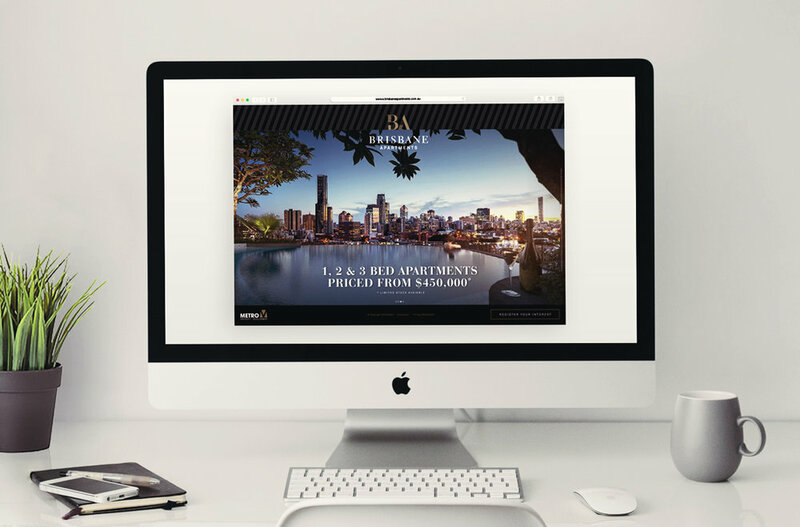 The key focus was to primarily showcase Brisbane Apartment's stunning imagery and renders, as well as making the recurring opportunity to make an enquiry always readily available. The website can be viewed here. 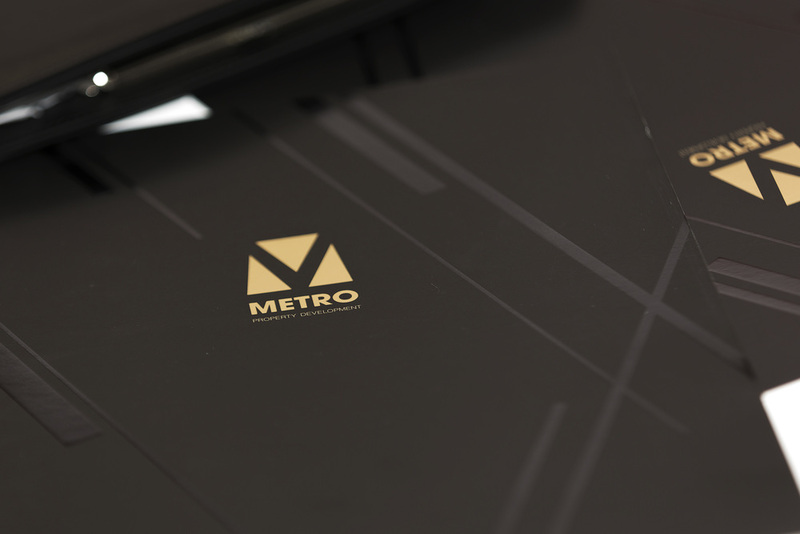 All brochures and print collateral were large scale (A3+) and sported a variety of spot varnishes and gold foil, to further push the project's eminence and the luxurious lifestyle it offered. 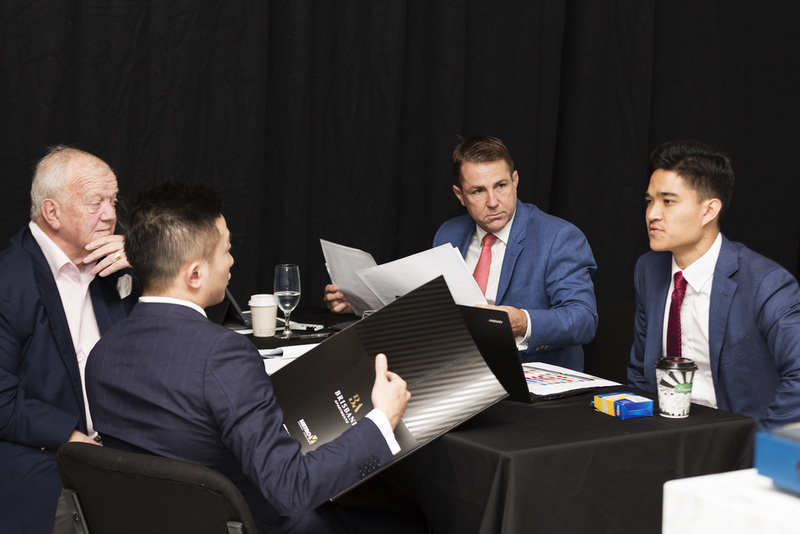 The supporting imagery for this project is from the very successful Chinese showcase in February 2016. Photography by Jay Richmond.